As an island, Britain has plenty of coasts, and with that comes plenty of opportunities for sea fishing. We have a number of avid sea fishermen and women here at Angling Direct, and they each have their preferred methods and styles. Some of them love shore and beach fishing through the surf; others prefer boat fishing out on the open water. 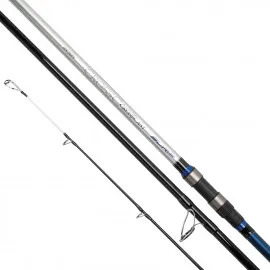 We aim to cater for all sea fishing styles and preferences in our exceptional range of sea fishing rods. So, whether you’re after an uptide rod to cast from a boat, or a surf rod that has outstanding casting ability, we have the rod for you. As always, Angling Direct only stocks the very best offerings from the best and biggest names in the business. You won’t find a duff rod in our sea fishing collection! Abu Garcia, Greys, Sonik, and Jarvis Walker are just a few of the top name brands we’re proud to include in our collection of sea fishing rods. 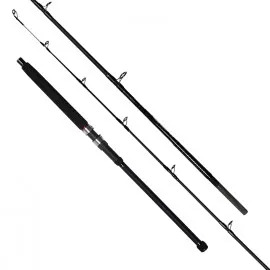 We also stock an extensive selection of Daiwa rods, and as we’re the leading stockist of Daiwa goods we can offer exclusive deals across its range of sea fishing rods. The deals don’t end there, though, and we stock rods for anglers on a variety of budgets. 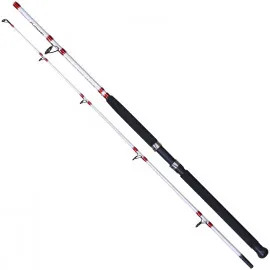 So, whether you’re looking to start out your sea fishing journey and want a cheap and cheerful rod that gives you an excellent feel for the sport or you’re a seasoned professional who is looking to splash out on the rod destined to take your sea fishing to another level, we’ve got the sea fishing rod for you. Our blog regularly features stories and videos from our latest sea fishing excursions, so if you’re looking for any inspiration for your next sea fishing purchase our blog archive is a great place to start. If you’d like any additional information about any of the sea fishing rods we stock, or any of the tackle across our range, give our expert team a call. Our customer services team are a mine of knowledge, and they are equipped to assist with any stage of your order.